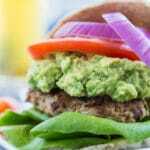 I rarely ever share my burger recipes — I just never get around to it! 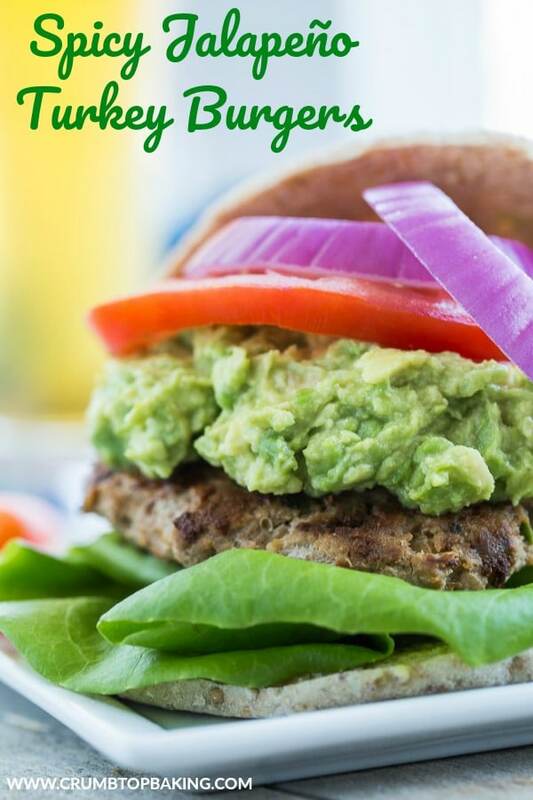 Turkey burgers are my go-to and I can’t wait to try this with my garden jalapenos! Thanks Marcie! I’m glad I finally got around to sharing this one! I hope you like the recipe with your garden jalapeños! Be sure to let me know what you think! I’ve since tried this turkey burger with feta and sautéed mushrooms and spinach, and it was delicious! 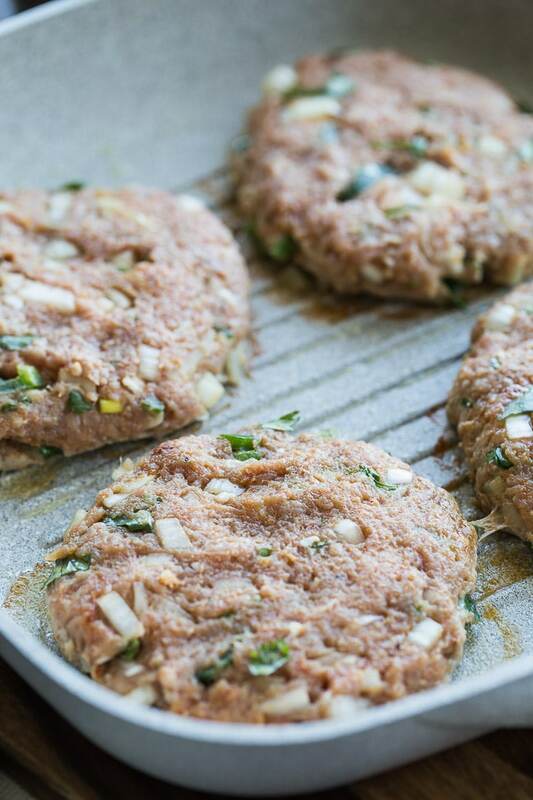 Feta on a lamb burger sounds yummy too! Hope you had a great Father’s Day weekend and you’re enjoying the start of summer! These look so yummy! Totally trying them! Update! I made these for supper this evening. They were fantastic. New summer staple! Thanks Leanne!!! Yay! I’m so glad you liked them Stephanie! And thanks for letting me know! Yay! I hope you like them! Thanks Stephanie! 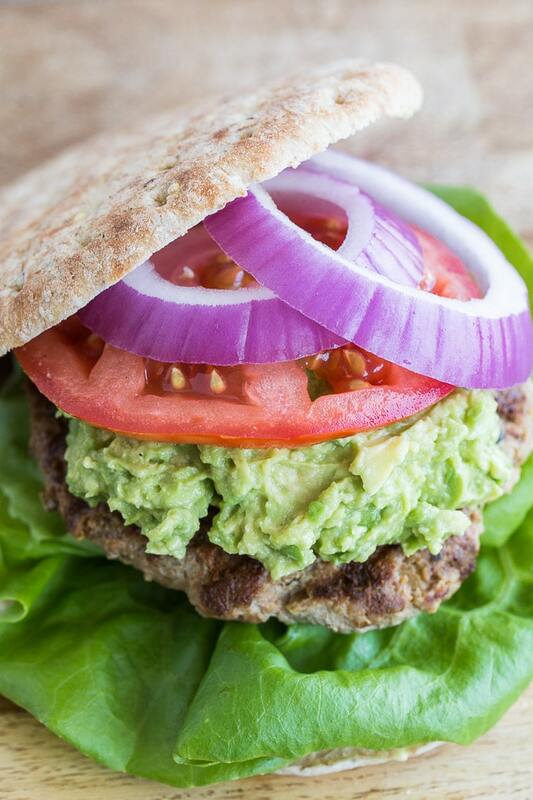 These turkey burgers are jam packed with all of my favorite flavors!! I’ll definitely be making these soon! Thanks Lisa! They do have a lot of flavour packed in there! Let me know what you think when you make them! Im loving everything about those burgers! Break out the grills. Thanks Patrick! I’m so happy it’s grilling season! I love that you piled the guac high! And I love the sound of feta, mushrooms, and spinach. They’re both must-tries! These look great, Leanne! Have a great weekend! Thanks Kelsie! 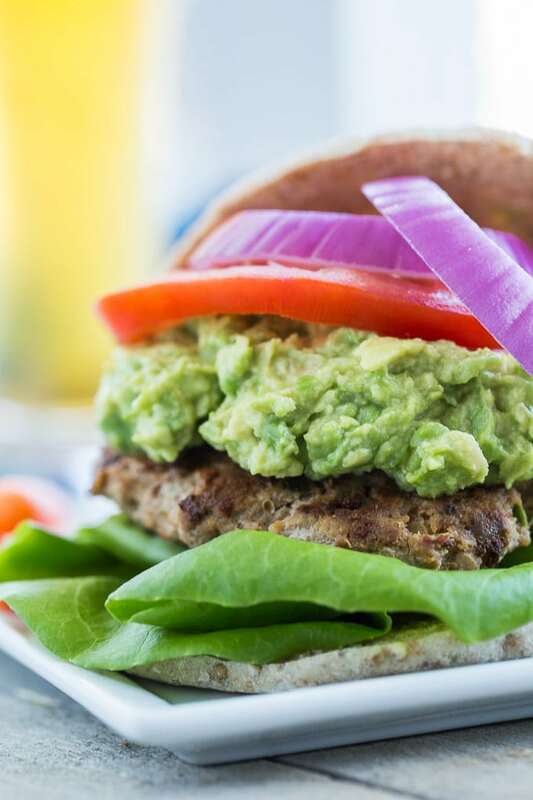 I like a lot of guac on my turkey burgers! And I’ve since tried the spinach, mushrooms and feta and it was delicious too. Definitely using that as a topping again! Thanks Kelly! Nothing wrong with simple. Add some pickles and a cheese slice and I’m right there with ya! Certainly with loads of guac, Just like you did. 😉 Those turkey patties look juicy and super tempting! Love the addition of jalapenos. I need to incorporate it in my patties now on! Thanks Neha! You should totally add some diced jalapeños to your burgers. It adds a nice little kick! I add it to beef burgers too and it works well! This reminds me of a salmon burger I once had and loved and forgot about! Can’t wait to try this recipe out. Thanks Helene! A salmon burger sounds great! 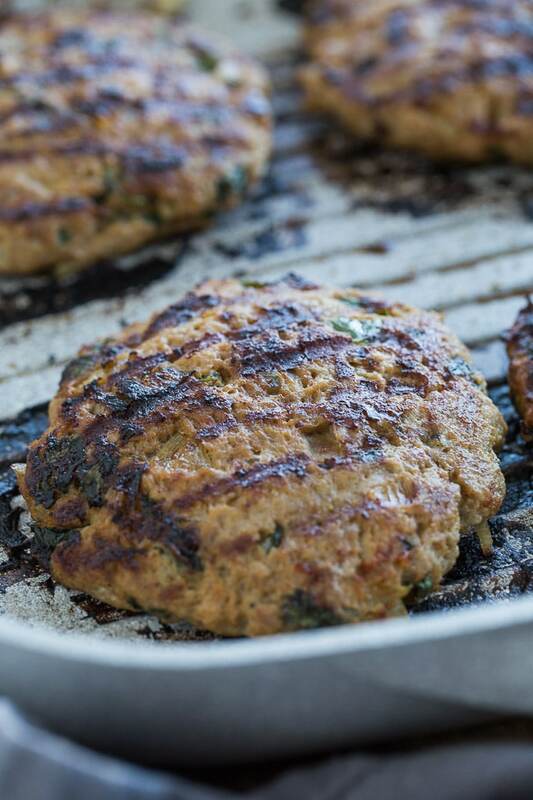 Would love to know what you think if you make these turkey burgers! These look amazing, Leanne!! 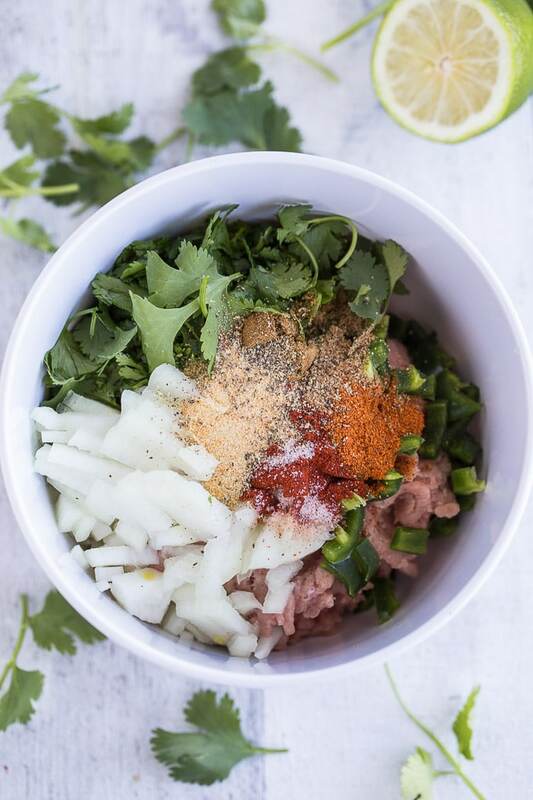 Perfect for summer – and we’re all about the spicy at our house (except for those kids of mine). Can’t wait to try! Haha! Thanks Katherine! I knew you would appreciate the spicy! I hope you and your family are having a great start to summer! I love the spices you’ve added to the turkey meat Leanne! I make turkey burgers quite a bit at our house! I’ll be giving your recipe a try for sure! Love the guac on top! Thanks so much Mary Ann! I hope you like them! And the guac on top is a must for sure! I’m not a burger person normally, but these bad guys look appealing to me! The addition of cilantro, jalapeno, and guacamole lifts this idea to a more elegant level. Delicious! Thank you so much Ben! The cilantro and jalapeños add a nice flavour and the guac on top is always a must! That doesn’t seem like a lot of salt for 1 lb turkey. Has anyone tried and found it lacking salt? With all of the lovely flavors, I would hate for the burger to taste flat for lack of salt (salt being an enhancer of flavors). Hi Valerie. I’ve been making these burgers for years and nobody has ever commented that they were lacking salt or flavour. But if additional salt is your preference, you can certainly add more. Thanks for stopping by! Thanks Heather! They’re definitely flavourful on their own! Sometimes I just like to enjoy them with some cheese, lettuce and tomato (and of course, a dill pickle!). Or I even crumble them up as a salad topping! Hope you’re having a great week Heather! I love this recipe! I have already tried it and the jalapeños were an amazing addition…definetly a recipe I will repeat! Thanks Terry! I’m so happy to hear you liked the burgers! Thanks for letting me know!